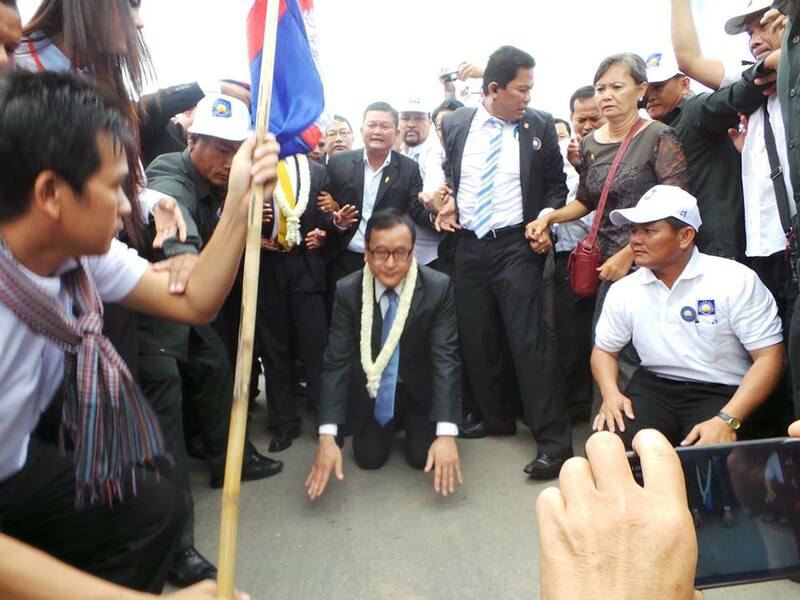 H.E.Sam Rainsy is kneeling down to kiss his motherland (land, soil and earth). 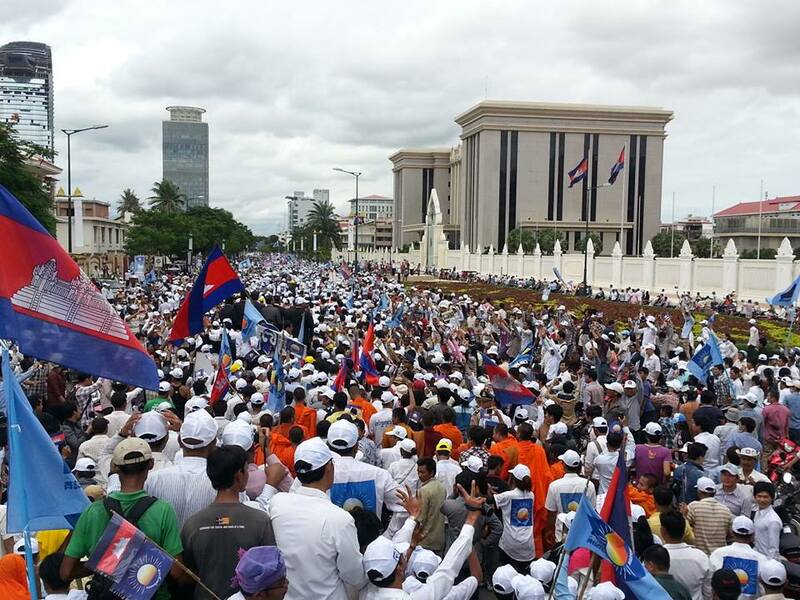 Of course, Cambodia land is belonging to every Cambodian. 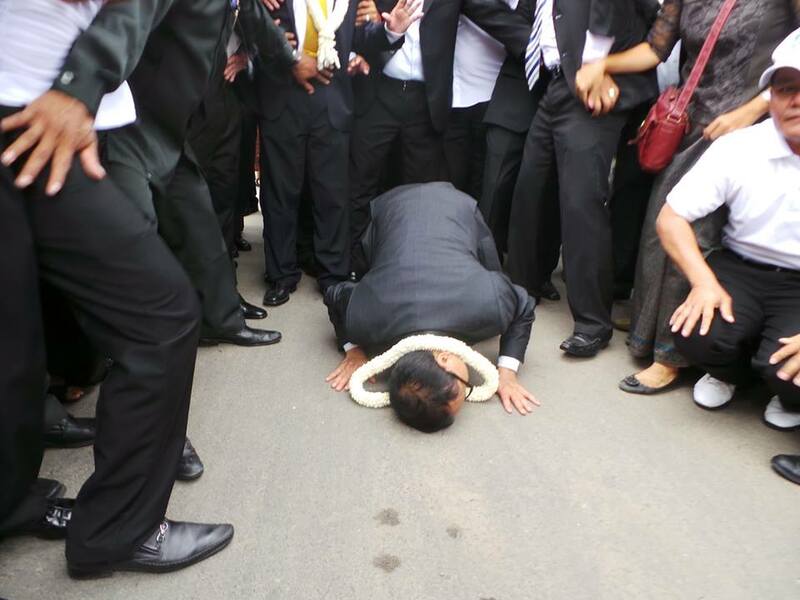 But his gesture in love and homesick by such kneeling down, kissing the ground and in tears dropping down in the moment tells every Cambodian that “the bone and blood of our ancestors have become this land for all Cambodians to live till today”. 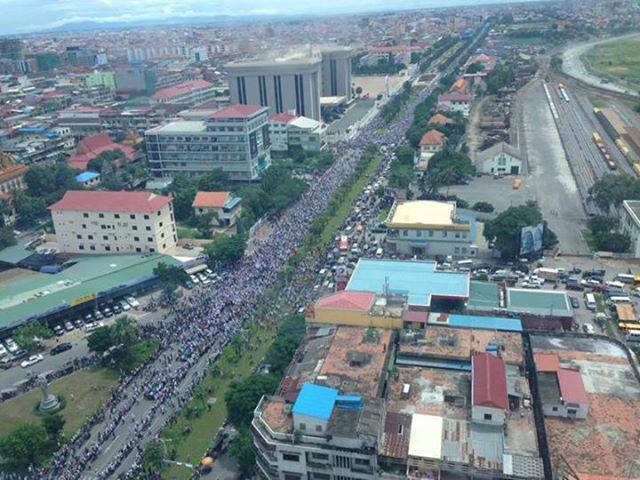 All Cambodians must love this land, take care this land and sacrifice for this land at any margin of life cost. I could not stop my tears and I must wipe them out several times…I think you all experience the same. If we are honest and ready to sacrifice for our beloved land, our name and our cause will be immortal. 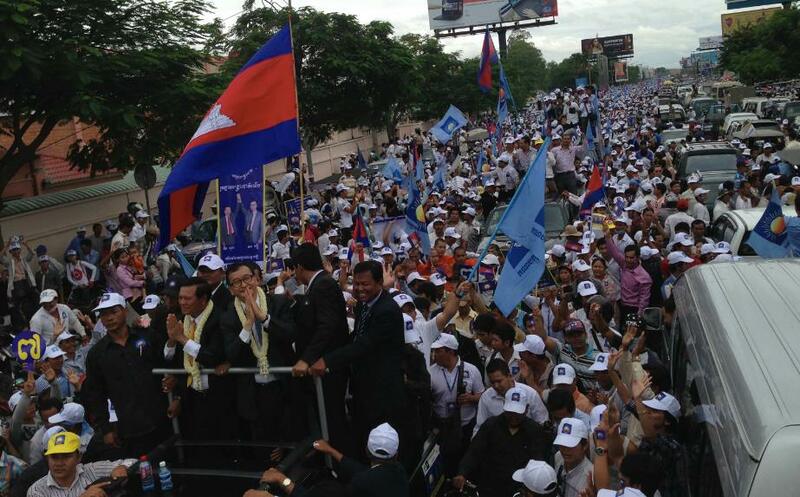 More than that, the expression of H.E.Sam Rainsy is a sign of winning at all struggles. Lord Buddha pointed to the land as his witness when Mara (devils) tried to claim back his seat of Enlightenment. Finally, Mara was defeated and Buddha fulfilled his Attainment.